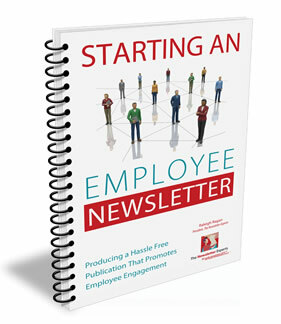 For over two decades The Newsletter Experts have been making employee newsletters EASY for our clients across the country, and across many different industries. The case studies below represent a small sampling of our successful collaborations. When the HR department of Waste Management New Jersey (WMNJ) was given the task of publishing a newsletter for its 2,500+ employees, they were naturally concerned about how they were going to produce a professional and engaging publication on a regular basis. After all, they were experts in HR, not newsletters. The Newsletter Experts quickly allayed their fears and got right to work, taking care of everything from design, content gathering, copyediting, and project management to printing and mailing of GreenScene, WMNJ’s full-color newsletter. With employees working in a variety of environments, from inside the office to out driving the trucks, WMNJ needed a way to ensure that each newsletter would contain across-the-board content of interest and actually be read by each employee. The solution was to print and mail a newsletter to each employee’s home. The print format fosters deeper readership and has the added bonus of also engaging a spouse and even the employee’s children. 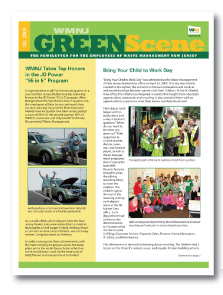 As a result of the newsletter’s success, other Waste Management locations have turned to The Newsletter Experts to painlessly create and produce their own local versions of GreenScene. When the communications team at Micro Motion decided to create an employee newsletter, it faced a challenge. While they realized a print newsletter would get the highest readership, they were concerned about the cost and timing of delivering hard copies to its many international offices. 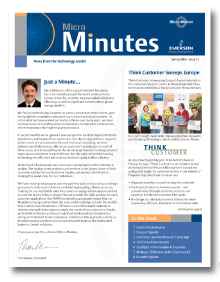 With the assistance of The Newsletter Experts, Micro Motion created Micro Minutes, a newsletter that is delivered in both hard copy and electronic formats. The newsletter is produced quarterly, with several hundred copies professionally printed for its employees at its Boulder, Colorado headquarters. A web-friendly PDF is then posted on the company’s intranet, allowing employees at its global locations the opportunity to read it online or print off a hard copy based on their personal preference. The Newsletter Experts handles everything from beginning to end, and because the electronic version is delivered in friendly PDF format, there are no additional costs involved in creating a separate electronic version. Multi-location Newsletter: C.H. Guenther & Son, Inc.
C.H. 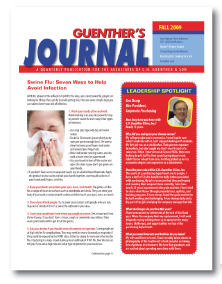 Guenther & Son, Inc. had been struggling with producing and delivering a quality newsletter in a timely manner. In addition, the growing food manufacturer headquartered in Texas also faced the challenge of how to create an engaging newsletter when its employees were spread out among several locations across the country, with a few international divisions thrown in. In addition to general information and news, the Guenther Journal now features specific sections featuring happenings at each location – in each and every issue. The Newsletter Experts makes this easy for C.H. Guenther by coordinating with a point person at each location to gather content that highlights the news and events of each division. Employees at each location now look forward to seeing themselves featured each quarter AND get a taste for happenings at all the other divisions. The Newsletter Experts take care of producing the newsletter each quarter and automatically delivering the appropriate number of issues to each location, requiring nothing of the C.H. Guenther staff.